Virtual Tour ebrochure An absolute stunner. 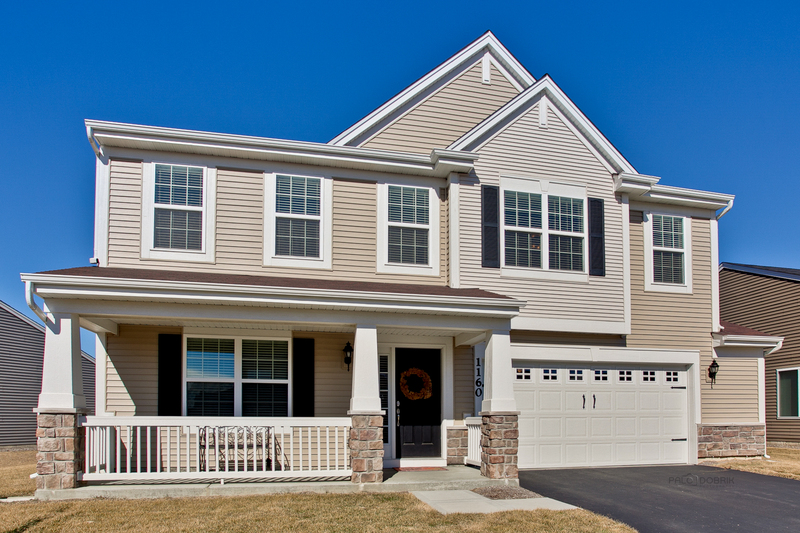 Move right into this beautiful two story home in Volo. Built by an award winning builder. Enjoy the large entertaining eat-in kitchen with 42 inch cabinets, soft close drawers, luxury vinyl flooring, pantry and island. Spacious family room with gas fireplace. Luxury master suite with dual sinks, soaking tub and huge walk-in closet. 3 other bedrooms are large with ample closet space. Second floor laundry room. Over-sized garage with bump out great for storage. Large fenced in backyard with custom stone paver patio. Park and walking trails close by. I was searching on Blue Fence and found this listing. Please send me more information about 1160 Adagio Dr , Volo, Illinois 60073. Thank you.